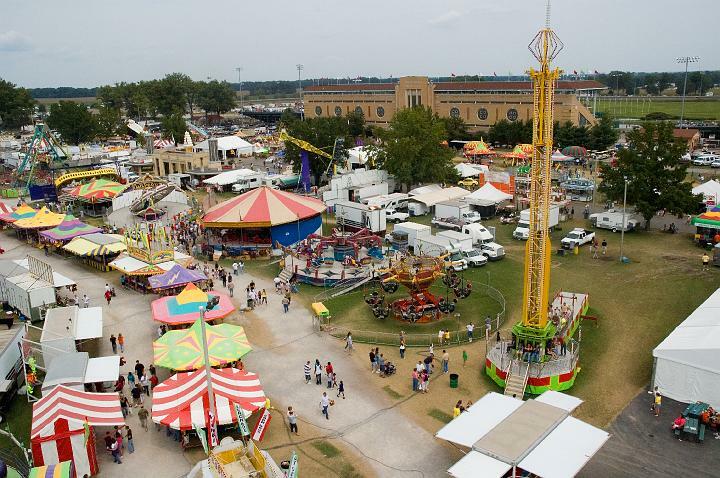 This week, southern Illinois and even some government officials will enjoy the Duqoin state fair. Oh my what fun, good eats and great time will be had by all. I simply love the good eats and will want to take the family to enjoy all it has to have. I will also want to share some when we get back home as well. so I have found this very tasty recipe and will store it a way for a sweet treat at home. 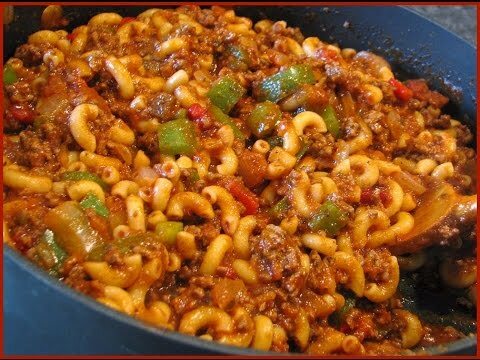 American Chop Suey, very tasty and filling meal that will be perfect on the fall meal plan. Cook macaroni until just done. For the sauce, saute onion, garlic and green pepper in butter for about 5 minutes, until just softened. Add flour, kosher salt and black pepper. Continue cooking until mixture begins to brown. Add ground beef, and cook for 10 minutes until just cooked through. Add tomatoes and mushrooms, and cook for 10 more minutes. Pour sauce over cooked macaroni, toss together, serve, and enjoy! Today is national cherry turnover day. A turnover by definition is a type of pastry made by placing a filling on a piece of dough, folding the dough over and sealing it shut. Turnovers can be either sweet or savory. Turnovers are very often used as a portable meal or dessert. Very much like a sandwich they can be eaten for any meal of the day. Sweet turnovers are often made with a fruit filling and a shortcrust or puff pasty dough. savory turnovers are made with meat and/or vegetables and with any dough but often a yeast dough. Today being national cherry turnover day I thought I would share a delicious recipe for one. Enjoy!! Unroll the crescent rolls and divide them into the triangles. Lay on a sheet tray and evenly divide the pie filling on the widest part of the triangle. Fold the smaller end of the triangle over on top of the pie filling. Bake in a 375 degree oven for 17-18 minutes until puffed and golden. Whisk together the powdered sugar, milk and vanilla extract. Drizzle on top of the hot turnovers. Serve immediately. what makes a good after school snack?? Well, a mom with a good imagination of course. 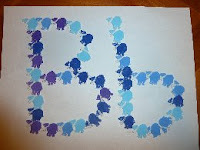 I wish I could take credit for the imagination but unfortanetly this idea comes from another blog. Here is what you need: Eggs (obviously) :-), cheese, a bell pepper, tomato and salad (tomato and salad are not necessary, but adds the final fun touch). Place two slices of white bread with the crusts cut off on a flat surface side-by-side. Using a rolling pin, or glass, gently flatten and fuse the bread slices together. Spread the ranch dressing over the inside middle of the flat bread slices. Place two slices of the ham on top of the ranch dressing. Place the shredded carrots and Swiss cheese on top of the ham. Place the two pickles horizontally and end-to-end at the bread edge closest to you. Starting at the bottom, roll the bread upwards to make a tight cigar-shaped roll. Using a bread knife, cut the roll into sushi-sized pieces approx one inch in length. August is eye exam awareness month. Eye exams are very important for our health as they can help detect eye problems at the earliest stage. We all know that when problems are detected early that they are more readily and easily treated. Eye exams are needed at every age and stage of life. Several factors determine how frequently an eye exam is needed though. These factors include age, health, and risk of developing problems. Pediatricians recommend that children under 3 with lazy eye, crossed eyes or turned out eyes go for an eye exam. All children should have an eye exam between the ages of 3 and 5. For adults who have healthy eyes with no symptoms of vision problems the need is less with only checkup every 5 to 10 years through their 30s. After that the need becomes more important with need of vision checked every couple of years. After the age of 65 a yearly check up is recommended. 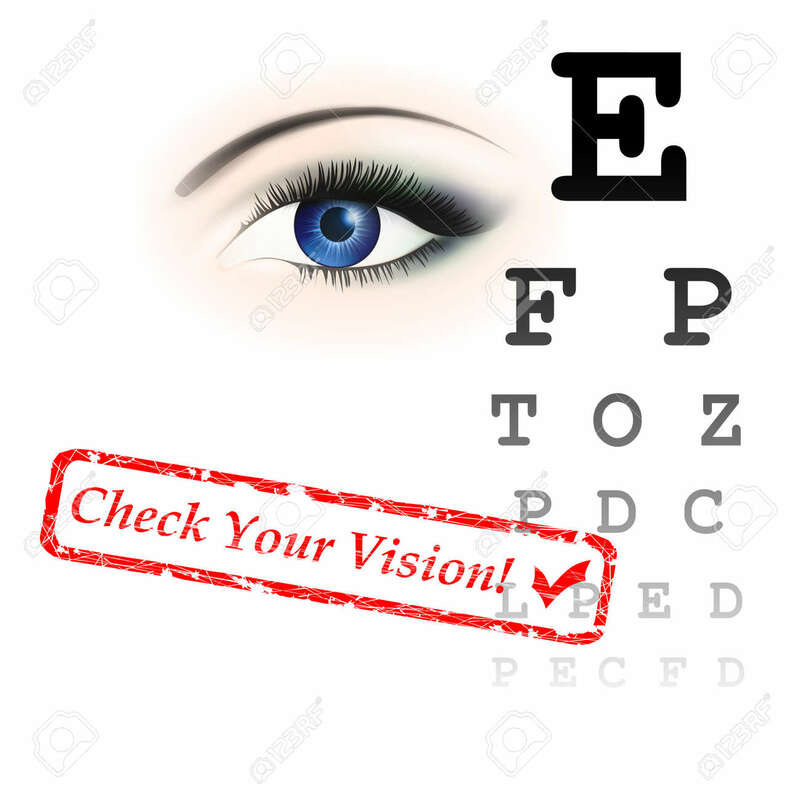 Eye exams are needed yearly if there is vision problems or symptoms of such or if there is a greater risk such as diabetes. Lee de Forest was born August 26, 1873. Sir named the "Father of the Radio" he developed a sound on film recording used for motion pictures. He helped provide the foundation for the development of vacuum tube technology. Do you have any tips for back to school bedtimes?? 1. Grease a 9x13-inch baking dish; set aside. 2. 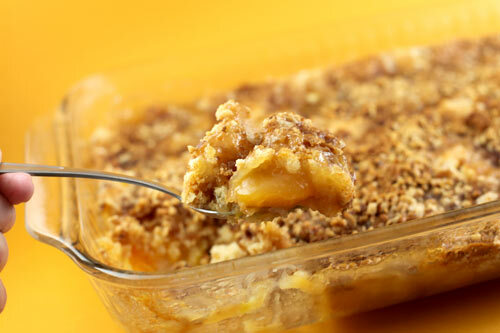 In a medium bowl, combine the graham cracker crumbs and melted butter, stirring until all of the crumbs are evenly moistened. Dump the crumbs into the prepared pan and press into an even layer. Refrigerate while you prepare the next layer. 3. In a medium bowl, mix together the cream cheese and sugar on medium speed until light and fluffy, about 3 minutes. Using a rubber spatula, fold in the COOL WHIP until thoroughly combined. 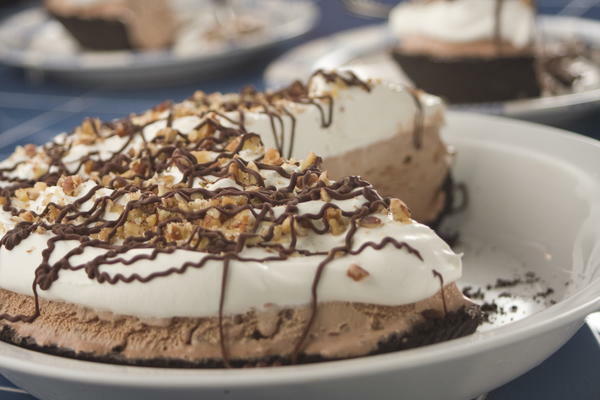 Spread the cream cheese mixture on top of the graham cracker crust. 4. 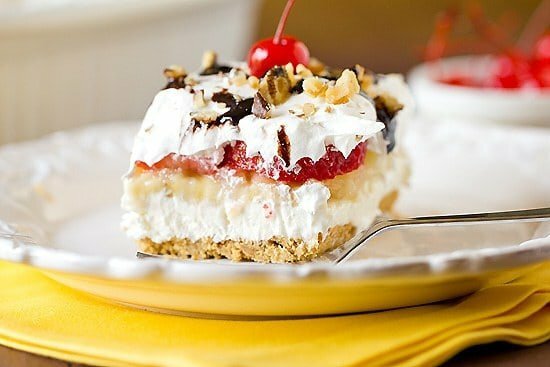 Arrange the banana slices in a single layer on top of the cream cheese filling, top with an even layer of the crushed pineapple, and then an even layer of the sliced strawberries. 5. Cover with the COOL WHIP, smoothing the top. Sprinkle with the chopped walnuts, then drizzle with chocolate syrup and top with maraschino cherries. 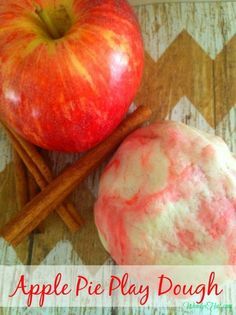 Refrigerate for at least 4 hours, or overnight. Annies Home, tries to share lots of holidays that we find. Some of them are strange, some are odd, some are fun, some are holidays we grew up with and then there are holidays like the one that I want to share here that is so super cute. August 25th is Kiss and Make Up Day. I am sure you have been told to kiss and make up and I know I have told my children many times to kiss and make up and until they do well then they will be in big trouble. It does not take long for them to make up quickly. Have someone that you have had a spat with in the past? 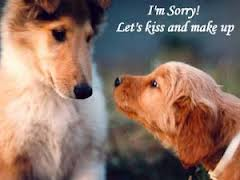 Use today Kiss and Make up day to get over it and get along again. 3. Immediately pour the peanut butter caramel over the popcorn and gently stir with a long-handled wooden spoon until it's all coated. Spread popcorn on a large baking sheet. 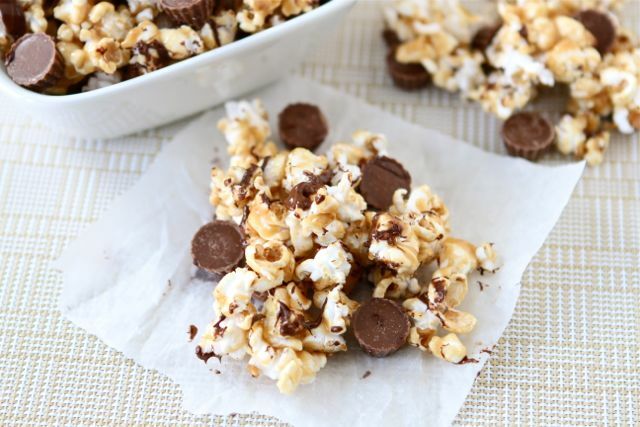 Drizzle popcorn with melted chocolate and let sit until chocolate hardens. Stir in the Mini Reese's Peanut Butter Cups. We used air-popped popcorn, but you can use microwave popcorn or stovetop popcorn. If you can't find Mini Reese's Peanut Butter Cups, you can chop up regular Peanut Butter Cups. One important thing to teach our kids before they start school is their alphabet or A B C s. Many of us may first teach them the alphabet song that we also learned as children. There are many different ways that you could teach your child their letters but I wanted to share with you a few great ones as well. A bowl of soup, alphabet soup to be exact, may be the best to serve for this lesson. Have your child enjoy their soup while sharing the letters that they eat. Dine on a bowl of soup with your child and search for letters as well. The best part is this is a great sharing, memory making activity as well. While I myself am not the most athletic person I have volunteered to help coach more than one of my children's little league teams. I know just a bit crazy but I did do it and it was awesome. If you do not think you can coach then there are other things that you can do when your child participates. 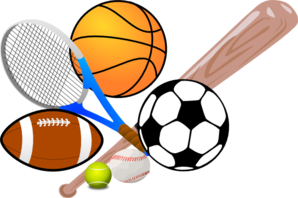 Be on the sidelines and cheer the team on, volunteer in the dugout, buy snacks, join in wherever needed. My mother baked cookies for me and my siblings, I baked cookies for my kids and now my daughter bakes cookies for her kids. This is a tradition that has been passed down from generation to generation. The one thing that we do is make sure that we involved our children and allow them to help when they are little. As the kids got older we then became the helpers and helped them to make their own cookies and after a while they were old enough to bake their own. Cookies are not the only thing that we baked or cooked together. my children have been involved in the kitchen and cooking since they were around 3 or 4 years old. My grandkids now help out. Doing it together is the most important part. No matter what you do , do it as a family. Time spent together is never idol time and always makes great memories. What does your family do to make memories? cooler than it normally is this late in August and the first week of school. Not for sure what that means, long fall or early winter?? We shared tips on how to take care of you feet on Monday as well. After the long summer months where skin tends to dry and crack or you face health issues like I do it is always better to take care of your feet. We shared a tasty recipe for custard pie as well as showcased the artist Andy Warhol. We again shared with you on Tuesday some tips for Back To School and how to help them make new friends our princess really has had a few issues with this not understanding yet how to make new friends and keep the old ones as well. 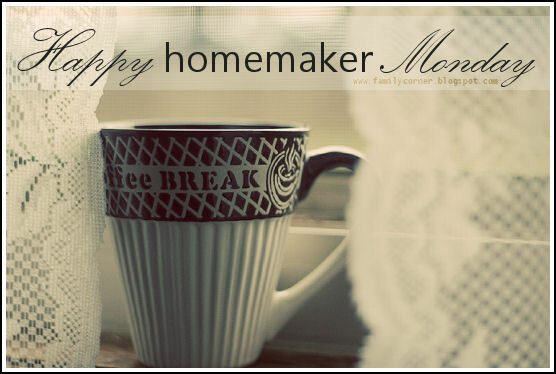 Now that school is back we will be looking for those filling family recipes soon. 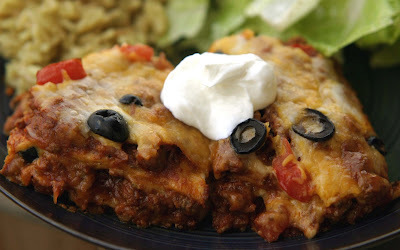 This recipe for Taco Pie should fit the need nicely. Friday was National Spumoni Day and also my dads favorite cold treat. 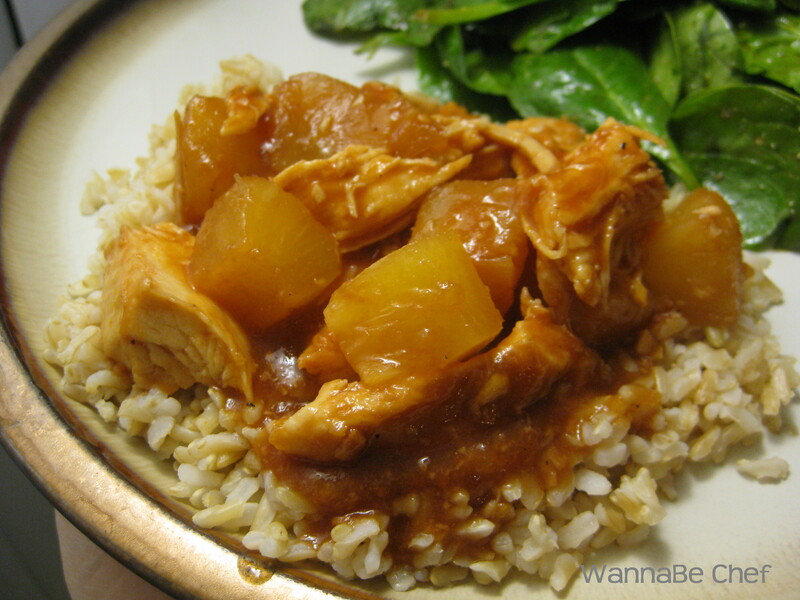 We shared a great recipe to make your own. We also ended the work week with a delicious breakfast burrito recipe and also an invention that helps us add it all up. 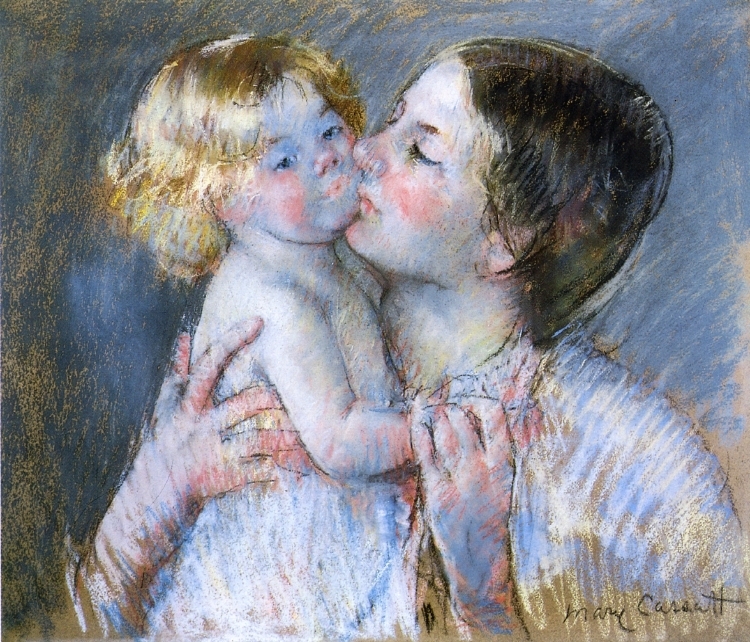 Friday, we shared with you all about an American artist that cherished the bond between a mother and father. When I was a kid Sundays were for picnics so on sunday we shared a pasta salad recipe perfect for picnics I also shared yet another harvest recipe this time for salsa, A treat of sorts were offered as well in a ooeey gooeey cake. Sunday we wished happy birthday to some very talented artist. We also shared with you all about how a very debatable test was invented by an athlete. 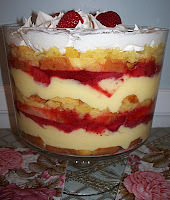 Sunday we also shared a recipe that friends can share and a delicious treat recipe of Southern Style Strawberry Pineapple Trifle.